Addiction Recovery Center of Temecula Opioid Detox and Heroin Detox Program. 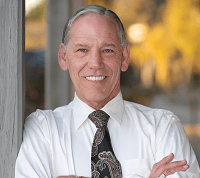 Opioid and Heroin Detox Treatment in Temecula California. Opioid and Heroin Detox Treatment Drug Rehab, Alcohol Treatment, Inpatient Drug Rehab, OutPatient, Substance Abuse Treatment, and Residential Treatment. Addiction Recovery Center of Temecula Opiate Detox Program is located in Temecula California. Addiction Recovery Center of Temecula provides Opioid and Heroin Detoxification services in the city of Temecula. . Specializing in in Temecula California area. Comprehensive and progressive Intensive Out-Patient Addiction treatments as an alternative to 12-Step based recovery programs. Each treatment is designed specifically for the individual and the family being served. The facility is staffed by licensed psychologists and a counselor who is an ICADC, CADC II, SAP, and Intervention Specialist. Multiple programs available, structured for adolescents and adults separately. Interventions and assistance to place clients into In-Patient Facilities available upon request. Be the first to POST a comment for Addiction Recovery Center of Temecula!